The employment relationship is governed by a combination of statutory rules applicable to all employee categories, special rules for certain employee categories and a number of general unwritten principles. Some significant employment issues are governed by statutory rules applicable to all employees (e.g., holiday, working environment, employment contract requirements, personal data protection and discrimination), whereas other significant issues are not (e.g., minimum salary, normal working hours and overtime pay). Employees are roughly divided into three categories: white-collar workers (salaried employees), blue-collar workers and chief executive officers (CEOs). The employment relationships of white-collar employees are mainly governed by the Salaried Employees Act, which addresses minimum notice periods, protection against unfair dismissal, restrictive covenants and pay during sick absence. No particular law applies solely to manual workers, but in practice their terms and conditions are predominantly governed by collective agreements negotiated with relevant trade unions. With a few exceptions, CEOs are not covered by statutory employment laws and their terms and conditions of employment are generally subject to freedom of contract. The labour market is regulated by collective agreements to a great extent. The collective agreements typically govern the terms and conditions of employees within a field or sector, such as the industrial sector or the financial sector as opposed to the terms and conditions of employees, who are members of a certain union. A collective agreement is applicable to the extent that the employer is a member of an employer organisation that is a party to or covered by the collective agreement in question, or has acceded to the collective agreement by way of an agreement with the relevant union or unions. An employee's membership of a union does not in itself imply that the employer is bound by any of the collective agreements applicable to that union. Danish employees are unionised to a fairly wide extent (currently, approximately 70 per cent), which is mainly attributable to the Danish labour market tradition. Union membership, however, has declined substantially in recent years. Employment-related disputes that are not settled by way of negotiation are ultimately settled by the ordinary Danish courts, which consist (in hierarchical order) of several city courts; two high courts (as well as the Maritime and Commercial Court); and the Supreme Court, assuming that dispute resolution by way of arbitration has not been agreed. Before reaching the courts system, certain types of disputes are tried by special tribunals, such as the Equal Treatment Tribunal. Disputes within the collective agreement system are normally settled by way of industrial arbitration or by the Labour Court. Apart from the above-mentioned dispute resolution system, employment law rules and principles are enforced by several government bodies within their respective competence areas. The business and financial climate has generally been very favourable, and the outlook for the coming years is positive. In recent years, including 2018, Denmark has consistently been ranked by the World Bank3 as one of the top three best countries to do business in. According to the European Investment Bank's annual survey,4 Denmark has a large share of firms in the top productivity quintile in the EU – especially in the construction and infrastructure sectors. Furthermore, 95 per cent of all Danish firms invested in the past financial year. Investment per employee exceeds the EU average, and a higher proportion of firms in Denmark innovate and invest abroad compared to other EU countries. Among other significant, positive signs was the decrease in the unemployment rate from 5.7 per cent to 4.9 per cent. The hottest topic in Danish employment law was the EU General Data Protection Regulation (GDPR), which became effective on 25 May 2018. The GDPR has generated most of the legal headlines in the Danish media during the year, mainly as a result of massive marketing efforts by, among others, law firms, accounting firms, and IT companies. Most companies faced major difficulty dealing with the many challenges generated by the GDPR. Another major development in 2018 was the parliament's adoption of a new Holiday Act. The Act was passed on 25 January 2018 and will become effective from 1 September 2020. The Act was a result of ongoing pressure from the EU Commission on the basis of its opinion that the current Holiday Act is in contravention of the Working Time Directive (2003/88/EC). The new Act will fundamentally alter the Danish holiday system. The largest change is the transition from a staggered holiday system to a concurrent holiday system, which implies that holiday is accrued and taken in the same period (i.e., the calendar year). The new Holiday Act includes a transitional rule, which means it became partially effective on 1 January 2019. On 19 February 2018, the Supreme Court gave a ruling regarding potential double compensation owing to unfair dismissal. An employee claimed to be entitled to compensation for unfair dismissal according to the Salaried Employees Act as well as a compensation according to the Commercial Training Act. The Supreme Court found that the employee could not be compensated under both laws. In addition, the Supreme Court found that the employee was entitled to compensation under the law triggering the highest compensation. This ruling is in line with previous rulings regarding 'double compensation'. On 12 October 2018, the Eastern High Court gave its ruling in a case regarding the definition of 'disability' in the sense of the Non-Discrimination Act, which has been hot topic in recent years. The ruling confirmed that the employee's medical diagnosis in itself is not decisive and that the key criteria remains whether or not the relevant health issue results in an impairment that, in combination with any other impairments, prevents the employee from full and effective participation in working life on an equal basis with others, and that this limitation is long-term. In the specific case, the court found that the limitation was neither long-term at the time of termination nor expected to become so in the future. From an international perspective, a notable ruling was given on 15 May 2018 by the Western High Court. The Court confirmed the general legal opinion that employees are required to act appropriately towards their employer and colleagues. In this specific case, an employee was dismissed owing to his improper text messages to a colleague, who explicitly instructed him not to send such messages. The Court found that the dismissal of the employee was fair owing to his offensive and insulting messages sent to the colleague. The case is interesting considering the recent international discussions about the #MeToo movement against sexual harassment and other sexual abuse, which seems to have generated many court cases. Pursuant to the Employment Contract Act, employees are required to have a written employment contract, assuming that their weekly working hours amount to at least eight hours on average. Under the Act, employers are required to inform their employees in writing of all the material terms and conditions of employment within one month after the commencement of the employment. Certain minimum information that is always required is mentioned explicitly in the Act, such as the name and address of the employer and employee, the place of work, the employee's right to paid holiday, rules on notice periods, and salary, supplements and time of payment. In addition, the employer must provide a description of other material terms and conditions, such as special benefits (e.g., company car, newspapers, telephone), the employee's right to paid holiday, the right to participate in an incentive compensation scheme, restrictive covenants and special employee policies (e.g., IT policy, expenses policy, smoking policy). Typically, these terms (except for the special policies) are reflected in the employment contract, but it is permitted to provide a description of the terms in one or more other documents, such as an employee handbook. If so, that document must be referenced in the employment contract. The Act provides that in the event of the employer's violation of the Act, the employer will be liable to pay compensation to the employee equal to 13 weeks' salary (20 weeks' salary if aggravating circumstances exist). The compensation level was further determined in the Supreme Court ruling of 17 December 2010, according to which the typical compensation level ranges from zero to 25,000 Danish kroner. Generally, any such compensation claims are only initiated in connection with a non-amicable termination of employment. 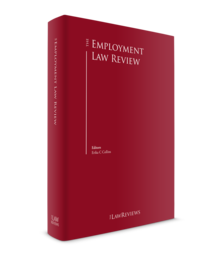 With regard to amendments to employment terms, the decisive criterion is whether or not the amendments are materially detrimental to the employee (i.e., material changes). Non-material changes can be implemented unilaterally by the employer without notice or consent by virtue of the employer's right of management, but normally notice is given. Material changes implemented by the employer require consent or a notice equal to the employee's individual notice of termination (or longer), regardless of any contractual wording stipulating the contrary (which is often seen in Anglo-American contracts). Material changes imposed without consent will not become effective until after the expiry of the notice period. Any such changes will entitle the employee to consider himself or herself terminated effective upon expiry of the notice, in which case the normal rules on termination will apply. If material changes are implemented without sufficient notice or consent, the employee may potentially claim constructive dismissal and terminate the employment without notice. Fixed-term employment contracts are permissible as such. However, the Act on Fixed-term Employment provides for certain restrictions, including a prohibition against discriminatory treatment of fixed-term employees with regard to employment terms. Also, according to the Act, fixed-term employment contracts can only be renewed once, unless objective reasons exist. For salaried employees, probationary periods lasting up to three months are allowed. During the probationary period, which must be explicitly agreed, the employment can be terminated with 14 days' notice by the employer and without notice by the employee, assuming the notice period expires during the probationary period. It is possible to agree on a mutual 14-day notice period, which is very common. The only significance of the probationary period is that the employment can be terminated with a shorter notice than the normal minimum notice of termination (see Section XII.ii). No statutory rules applicable to blue-collar workers or CEOs exist and, consequently, there is no maximum probationary period, unless the employee is covered by a collective agreement providing for a maximum period. A foreign employer can hire employees in Denmark without setting up a business in Denmark. An employer that is not officially registered in Denmark can also engage an independent contractor. If a foreign employer has hired one or more employees to work habitually in Denmark, the employer will, as a rule of thumb, be deemed to have a permanent establishment in Denmark, assuming the employees have and habitually exercise a general authority to conclude contracts in Denmark on behalf of the employer. The main consequence of having a permanent establishment in Denmark is that the income and costs allocated to the permanent establishment will be subject to Danish taxation. Foreign employers must comply with all employer obligations under Danish law with regard to workplaces subject to Danish law, including the obligation to pay certain social contributions and to provide certain benefits to the employees. Compared to other European countries, the level of social security payments required from the employer is low (roughly 10,000 Danish kroner per employee per year). All categories of employees are entitled to 25 days' holiday per holiday year according to the current Holiday Act (however, as mentioned in Section II, the new Holiday Act has been adopted, which will take full effect on 1 September 2020 and became partially effective on 1 January 2019). The right to paid holiday is accrued in each calendar year (2.08 paid days per month of employment), but holidays are taken in the holiday year running from 1 May in the year following the accrual year to 30 April in the next year. During the employment, the employer is required to pay a holiday supplement equal to 1 per cent of the employee's total remuneration, which is paid when the holiday is taken. At the end of employment, the employer is required to pay compensation in lieu of untaken paid holiday to the Danish Labour Market Holiday Fund (at least 12.5 per cent of the total remuneration in the calendar year during which the employment ends). Subsequently, the employee can withdraw the compensation when he or she takes the outstanding holiday (i.e., typically with a new employer). Salaried employees are entitled to full pay during sick leave as opposed to blue-collar workers who – in the absence of a collective agreement – have no such right. Taxes are deducted at source and the employer is required to report and withhold income taxes in the salary payments made to the employee. Generally speaking, the law permits that three types of restrictive covenants are concluded, namely: non-compete covenants; covenants for the non-solicitation of customers and other business contacts (non-solicitation of customers); and non-solicitation of employees. In the absence of any such clauses, the employer has no substantial protection against the post-employment activities of former employees in Danish law, except for the general protection of trade secrets in the Marketing Practices Act. A new Restrictive Covenants Act was adopted with effect from 1 January 2016. The Act replaced the radically different rules in the Salaried Employees Act, the Act on Job Clauses and the Contract Act with regard to restrictive covenants agreed on or after 1 January 2016. The previous rules still apply to restrictive covenants agreed before 1 January 2016. The Salaried Employees Act, which only applies to salaried employees, covers non-competition and non-solicitation of customers covenants, whereas the Act on Job Clauses is applicable to salaried employees and blue-collar workers, and covers non-solicitation of employees clauses. The Contract Act applies to all contracts and, therefore, all types of restrictive covenants. In terms of blue-collar workers and CEOs, no specific rules apply to non-competition and non-solicitation of customers covenants, apart from the requirements in the Contract Act that the said covenants must be on reasonable terms (not excessive) and that a non-competition covenant will lapse automatically, if the employment is terminated by the employer and the worker has not given reasonable cause for the termination (or because of the employer's material breach). However, in practical terms, the courts will in many cases be likely to deem restrictive covenants agreed with blue-collar workers unreasonable and therefore set them aside in whole or in part. For a non-competition covenant agreed with a salaried employee to be valid, the employee must hold a particularly trusted position pursuant to the Salaried Employees Act. The said requirement does not apply to other types of restrictive covenants. The validity of a non-competition or non-solicitation of customers covenant is conditional upon the conclusion of a written agreement stipulating the extent of the covenant and a right for the employee to receive compensation equal to at least 50 per cent of the employee's total remuneration (as at the expiry of the notice period) during the period from the end of employment and until the expiry of the covenant. If the employee finds suitable alternative employment during the term of the covenant, the employer will be entitled, to a certain extent, to set off the income from the said employment. If the employee becomes self-employed, the employee will – as a general rule – forfeit the right to receive compensation as from the start of the self-employment. A non-solicitation of customers covenants can be extended to cover any customer or other business contact (e.g., a supplier or prospective customer) with which the employer has had commercial contact in the course of the 18 months preceding the notice of termination and with whom the employee has personally had contact, or who appears on a list provided to the employee before termination has been given. Covenants on non-solicitation of employees (job clauses) are subject to special rules in the Act on Job Clauses. It is an express condition that the limitations of the employee's job opportunities as well as an entitlement to compensation during the limitation period equal to at least 50 per cent of the employee's total compensation are reflected in a written agreement with the employee whose job opportunities are limited. If the requirements in the Act are not complied with, the job clause will be entirely null and void, regardless of any severability clause. The three above-mentioned types of restrictive covenants are covered by the Restrictive Covenants Act. the right to set off against compensation because of other employment or self-employment is further restricted. The normal working hours are not determined by law and are therefore subject to freedom of contract as a general rule. The same applies to the employee's obligation to work overtime. According to best practice (and most collective agreements) the normal working hours are 37 hours per week. However, it is set forth in the Act on Working Time (which implemented Directive 93/104/EC) that the average weekly working hours must not exceed 48 hours, including overtime, within a four-week reference period. Under the Working Environment Act, employees must have at least one day off that must be directly linked to a daily rest period within each seven-day period. The Act also provides the general rule that working hours must be arranged so that employees have a daily rest period of at least 11 consecutive hours in a 24-hour period. The above-mentioned rules and principles also apply to night work. The law does not require overtime compensation and consequently it is most common within the private sector that employees are required to work overtime without separate remuneration according to their employment contracts. Most collective agreements require paid overtime or time off in lieu and considering that most blue-collar workers are covered by collective agreements, the practical main rule is that most blue-collar workers are entitled to overtime compensation. In terms of living and working in Denmark, the decisive factors are the employee's nationality and qualifications. If the person is a citizen of the European Union or European Economic Area (EEA), or is a Swiss citizen, neither a visa nor a work permit is required, but the applicant will need a registration certificate from the Regional State Administration to reside in Denmark for more than three months. A registration certificate simply confirms the rights already held by the person in question according to the EU regulations on free movement of persons and services. Citizens from a number of non-EU and non-EEA or Swiss countries, such as the United States, are not required to obtain a visa to enter Denmark, but all non-EU and non-EEA or Swiss citizens must have a work permit in order to work in Denmark. In certain cases, however, certain limited work-related activities may be performed while legally staying in Denmark. A number of schemes have been introduced to make it easier for highly qualified professionals to obtain a work permit and thereby gain access to the Danish labour market. The employer is not required as such to register the number of foreign employees. However, if a foreign employer posts employees to work in Denmark (while remaining in employment with a foreign employer), certain information must be registered with the Danish authorities. Generally, there is no limit on the number of foreign employees a workplace or company may have. The employer obligations to withhold or report on tax mainly depends on the employee's tax status in Denmark (subject to unlimited or limited taxation), the employee's salary and whether the employer is Danish or foreign. Foreign workers subject to Danish employment law are protected by those laws to the same extent as Danish employees. Danish law prohibits discrimination against employees by employers and this fundamental principle is reflected in a number of acts and substantial case law. Internal discipline rules are not required by law, but it is generally recommended to prepare, implement and enforce written rules on discipline and appropriate conduct, as well as rules on other key workplace-related subjects. Typically, these rules are part of an employee handbook or similar document that covers numerous workplace-related subjects, such as use of employer IT facilities, paid and unpaid leave, and sick absence. As a general rule, neither the employees nor any government authority or other third party is required to approve or agree to such rules. The employer is free to decide on the process for implementing the rules. It is common that rules are simply posted on the employer's intranet and that the employment contract includes a reference to the location of the rules. Any new policies or policy changes resulting in material changes to the detriment of individual employees (e.g., the abolishment of a bonus scheme) must take place in accordance with the general principles for implementing material changes (see Section IV.i). It is recommended to use a process that allows the employer to establish documentation setting out that the rules have been duly implemented (i.e., introduced and made easily available to the employees) in order to promote enforceability of the rules. The rules (as well as any other document setting out employment terms and conditions) must be prepared in a language the employees can be reasonably expected to understand. If the normal working language is English, it will typically be sufficient to issue the rules in English. But to reduce the risk of disputes on the basis of (alleged) language barriers or misunderstandings, it is advisable to prepare a Danish translation of the key rules. To comply with the Employment Contract Act, the employment contract must include a reference to any company rules, including material terms and conditions. Employment documents are generally not required to be prepared in Danish. Employment documents must be prepared in a language the employees can be reasonably expected to understand. If the normal working language is English it will typically be sufficient to issue the rules in English. However, to reduce the risk of disputes on the basis of (alleged) language barriers or misunderstandings, it is recommended to prepare a Danish translation of the key documents, such as the employment contract and bonus scheme or other incentive compensation plans. An important exception is the requirement in the Stock Option Act to deliver a written employer statement in Danish to each participant, assuming the employer has put certain types of share-based incentive compensation programmes in place. If an employer fails to provide the employment documents in a language that the employees can be reasonably expected to understand, the employment document will potentially be rendered partially or wholly unenforceable in court. Furthermore, the employer may be liable to pay compensation for violating the Employment Contract Act (see Section IV.i). There are no specific formalities for translation. Rules on employee representation are set out in the employment law and company law frameworks. The employer's obligation to inform and consult the employees follows from either the Act on Informing and Consulting Employees (implementing Directive 2002/14/EC), which covers any employer with at least 35 employees where the employer is not party to any collective agreement, or a collective agreement pursuant to which the employer has set up a works council and consult with the works council in relation to certain workplace-related subjects. Under the said Act, the works council must, inter alia, be consulted with regard to the employer's financial situation, the latest and future developments, and any significant changes in the organisation of the work and working conditions. The employer is free to decide on the timing, method and contents of the information and consultation, but the employer must ensure an appropriate level of both. Thus, consultation must occur at the relevant level of management and representation for the subject under discussion. Finally, consultation must be carried out in such a way as to enable the employee representatives to meet the employer and obtain a response, and to give the reasons for that response, to any opinion they might formulate with a view to reaching an agreement on decisions within the scope of the employer's powers. It is emphasised, however, that the employer is not required to follow the proposals from the employee representatives. Rules on employee representation in public or private limited companies are set out in the company law legislation. A Danish employer that employs at least 35 employees is required to inform and consult employees about all employer-related matters of significant importance to the employees. In the context of business transfers and collective redundancies, special rules on information and consultation apply. The rules governing processing of personal data are set forth in the GDPR and the new supplementary Danish Act, the Data Protection Act, which was adopted on 17 May 2018. There is no general obligation for companies operating in Denmark to register with the Danish authorities in relation to their processing of personal data. Certain fundamental requirements applicable to all processing of personal data are provided in the GDPR as well as in the Act. In particular, the GDPR requires that the processing of personal data is conducted for an explicit and legitimate purpose, only to the extent required by that purpose, and that further processing must not take place in a manner incompatible with that purpose. Another fundamental employer requirement is to provide certain information to the employees (or other data subjects, if relevant) in connection with the employer's collection of employee personal data (whether from the employee or a third party). The mandatory information set forth in the GDPR (Articles 13 and 14) is (1) the identity of the data controller; (2) the purpose of the data processing; and (3) any further information that is necessary, having regard to the specific circumstances in which the personal data is collected, to enable the data subject to safeguard his or her interests (e.g., the types of data collected, the recipients, if any, and any transfers outside the EEA). These fundamental requirements must be satisfied regardless of any employee consent. Under the GDPR, an employer is – as a general rule – permitted to process personal employee data to a usual and reasonable extent in connection with the employer's HR administration without obtaining employee consent. However, see below regarding sensitive data. Access levels to personal data must, in principle, be limited to ensure that any access is given for a legitimate business purpose, namely on a need-to-know basis. The data controller (typically the employer in the context of employee data) is required by the GDPR to implement appropriate technical and organisational security measures to protect data against accidental or unlawful destruction, loss or alteration, and against unauthorised disclosure, abuse or other processing in violation of the provisions laid down in the GDPR. Infringement of data protection law may result in a number of different sanctions, such as agency orders, fines and an obligation to indemnify any damage suffered by the data subject (and others, if relevant) as a result of the infringement, along with criticism from the Data Protection Authority (DPA). As the maximum fine has been increased very significantly (the higher of 4 per cent of annual group turnover or €20 million), any company should be aware of the financial risks associated with GDPR violations. In our experience, however, the most detrimental (potential) consequence of any infringement is significant negative press coverage and bad will. The rulings of the DPA are usually published on the DPA's website, which is monitored by the press to a certain extent. Any processing of personal data must be conducted in accordance with the fundamental requirements of the GDPR, including cross-border transfers. Cross-border transfer within the EEA is subject to the normal rules on transfer of personal data in the GDPR. There is no requirement to register the transfer with the DPA. Adequacy decisions: the European Commission is empowered to designate a country or a territory as providing an adequate level of data protection. According to the GDPR, transfer of personal data is allowed to a country or territory that has this 'adequacy decision'. The European Commission makes its decisions based on factors such as the rule of law and respect for human rights. An example of this decision is the EU–US Privacy Shield. The European Union and the United States have signed an agreement establishing the legal grounds for transferring personal data from European companies to recipients in the US. The new agreement, the EU–US Privacy Shield, replaced the Safe Harbour scheme. In brief, the new political agreement imposes more stringent obligations on US companies in connection with the processing of personal data transferred from the EU. In addition, it includes a possibility for increased enforcement by US authorities, who also intend to increase cooperation with European DPAs. The agreement was deemed adequate to enable data transfers under EU law by the EU Commission on 7 July 2016, and as of 1 August 2016, companies in the United States could certify their compliance with the EU–US Privacy Shield with the US Department of Commerce. Establishment of appropriate safeguards: the GDPR permits cross-border transfer of data, if the data controller or processor has provided the safeguards mentioned in Article 46 of the GDPR. This could be binding corporate rules, which define an intra-company policy certified by the relevant supervisory authority or standard contractual clauses comprising standard data protection clauses adopted by the European Commission. These contracts have a standard format. Specific derogations: Article 49 of the GDPR includes specific approaches that permit data transfer in the event of failing to utilise the mechanisms listed in points (a) and (b). For example, a data transfer can always take place with employee consent. Generally, the legal basis for the processing of personal data depends on the type of data being processed – mainly, whether the data should be considered sensitive or not. According to the GDPR the term 'sensitive data' is no longer used, but the GDPR has instead introduced the term 'special categories of personal data' in Article 9. This category comprises genetic, biometric and health data as well as personal data revealing racial and ethnic origin, political opinions, religious or ideological convictions, or trade union membership. As a general rule, the processing of special categories of personal data requires prior employee consent or other legal grounds specifically mentioned in the GDPR. Social security numbers and criminal records are not special categories of data according to the GDPR, which means that this information is subject to the general processing rules. However, according to the Danish Data Protection Act, these data categories require a higher level of security and are essentially covered by the same rules as the special categories of data. Background checks are allowed as a general rule. Some background checks, such as credit checks and criminal records checks, are permitted, subject to special requirements. Credit checks are allowed with regard to employees in a position of trust or applicants applying for such positions (e.g., financial controllers, finance managers, key account managers or others with a certain financial responsibility and access to funds). The sole fact that a position involves access to funds does not imply that the position is considered a position of trust. As a general rule, credit checks require employee consent. It is only permitted for the employer to collect information revealing criminal actions if the information is relevant to the position applied for by the applicant or undertaken by an existing employee, such as a crime committed for the sake of enrichment where the position applied for involves financial responsibility (e.g., a managing director, chief financial officer or financial controller). Private employers do not have access to public criminal records. Generally, access to such records requires written applicant or employee consent according to the Regulation on the Central Criminal Register. Under the Salaried Employees Act, a dismissal must be reasonably justified by the circumstances of the employer or the employee (e.g., redundancy and poor performance, respectively), assuming the employee has been employed for at least one year (on the date notice is given). Otherwise, it will be unfair. In other words, employees who have been employed for less than one year are not protected against unfair dismissal. But they will be protected against any discrimination from the start of the employment under anti-discrimination legislation. In the event of an unfair dismissal, the employee will be entitled to compensation of between one and six months' total remuneration, depending on length of service and other circumstances. As a general rule, a dismissal on grounds of redundancy will be deemed fair, provided that the employer can demonstrate that the redundant position has not been immediately refilled. In such scenario the employer – as a general rule – has discretion to select the employee who is redundant and the employer is not required to use specific selection criteria. However, in terms of employees enjoying special protection against termination, the employer will typically need to justify having selected the protected employee instead of another employee and to demonstrate that no suitable alternative position was available at the time of termination. A performance-based termination will generally not be considered fair unless the termination is based on a prior written warning. According to Danish law, an employee may be dismissed because of sick leave provided that the sick leave is not related to pregnancy, disability of other circumstances affording the employee special protection against dismissal. In fact, pursuant to Section 5(2) of the Salaried Employees' Act, the employer may dismiss the employee because of sick leave amounting to at least 120 days during 12 consecutive months on the condition that the notice of dismissal is given immediately after the expiry of the 120 days of sick leave and while the employee is still absent. In the absence of a collective agreement there is no protection against unfair dismissal. Any collective agreement typically provides rules on compensation for unfair dismissal with regard to workers with at least nine months' continuous service (on the date notice is given). The compensation may amount to up to 52 weeks' salary but will normally be fixed at a considerably lower amount. Certain employee categories enjoy special protection against dismissal according to the law, including, inter alia: pregnant employees; employees on paternity, maternity or parental leave; employee-elected board members; employee-elected work environment representatives; and union representatives. Special protection does not rule out a lawful dismissal. However, in the event of such dismissal, the employer must be able to show that the dismissal was neither in whole nor in part based on the conditions on which the special protection is based. In case of a termination in contravention of the rules affording special protection, the employer may be liable to pay significant compensation amounting to approximately three to 12 months' salary, as well as a penalty for violating the applicable collective labour agreements, if any. The compensation level is mainly dependent on the employee's period of continuous employment and the seriousness of the violation. Moreover, special anti-discrimination acts protect employees from dismissal on the basis of factors such as race, ethnic origin, age and disability. Employees who have been discriminated against may be awarded compensation of six to 12 months' based on recent case law. The minimum notice required from the employer to terminate an employee is dependent on the employee's length of continuous service, namely, between one and six months, to expire at the end of a calendar month. The minimum notice required from the employee is one month, to expire at the end of a calendar month. After 12 or 17 years' continuous service, the employee will be entitled to statutory severance pay amounting to one or three months' total remuneration, respectively, if the employee is dismissed (and such dismissal is not justified by material breach). Typically, the worker will be covered by a collective labour agreement setting out minimum notice periods for both parties. The notice required from the employer typically depends on the employee's length of continuous service with the employer. Workers not covered by a collective agreement are not entitled to any particular minimum notice except for the notice agreed in their employment contracts. The employer is not required to provide a social plan and is not required to notify a government authority or other third party, unless otherwise set forth in the applicable collective agreement, if any. The law neither provides for a general right of reinstatement in case of unfair dismissal nor a general duty to provide suitable alternative employment. Until the expiry of the notice period, employees are entitled to receive their normal base salary, variable salary (commission, bonus, etc.) and their usual benefits, such as insurance and pensions. Employees are required to continue working for the employer under the usual conditions during the notice period, unless they are released from their duties or put on gardening leave, which the employer may choose at its discretion. If the employee is released from his or her duties, the employer may – as a general rule – offset any income earned from another employer during the notice period against the current salary. The parties may choose to conclude a severance agreement outlining the rights and obligations resulting from the termination. There are no particular formalities required. This approach is mainly taken by companies to mitigate specific legal risks, for company policy reasons, or both. Payment in lieu of notice is generally inconsistent with the employment law framework and is typically not recommended for a number of reasons. In the event of the employee's material breach of the employment, the employer can terminate the employment without notice or with notice at the employer's discretion. The principles and rules applicable to dismissals (see Section XII.i and ii) also apply to redundancies, with the exception of the special rules applicable to collective redundancies mentioned below. The execution of collective redundancies must take place in accordance with the Act on Collective Redundancies (implementing Directive 98/59/EC), which sets forth a specific mandatory information and consultation procedure before the final decision to proceed. The Act applies where redundancies within 30 days exceed: 10 employees in undertakings employing between 20 and 100 employees; 10 per cent of the employees in undertakings employing between 100 and 300 employees; or 30 employees in undertakings employing more than 300 employees. Under the said Act the employer must, at the earliest possible time, notify the Regional Employment Council and initiate consultations with the employees or their representatives for the purpose of reaching an agreement to either avoid or limit redundancies, and to alleviate the effects, for example by reallocating or retraining the affected employees. If the employer proceeds with the redundancies after consultation, the employer must notify the Regional Employment Council, and the redundancies will be effective no earlier than 30 days (in some cases eight weeks) after such notification. In the event that the mandatory procedure is not followed, the employer may be liable to pay compensation payments to the affected employees and possibly a fine. Special rules on collective redundancies are often set forth in collective agreements. The legal rights of employees in connection with a business transfer are governed by the Transfer of Undertakings Act (which implemented the EU Acquired Rights Directives). In the event of a business transfer covered by the Transfer of Undertakings Act, the transferee will automatically assume the employment rights and obligations of the transferor in relation to the employees who are employed at the date of the takeover. The transfer of rights and obligations applies to all terms and conditions regardless of whether the rights and obligations are based on the individual employment contract, a collective agreement or other grounds. The transfer only applies to employments existing at the date of the takeover. As a result of the automatic transfer of employment, the transferee will become liable for all obligations (and the transferor will be released from its obligations) irrespective of whether the obligations pertain to the period before the transfer. A business transfer does not in itself justify a dismissal of one or more employees. Dismissal resulting from a business transfer will only be deemed fair if justified by economic, technical or organisational reasons requiring changes in the workforce. For example, in a merger where, prior to the merger, both the transferor and the transferee has a chief financial officer (CFO), but following the merger only one CFO will be needed, the dismissal of either CFO will typically be regarded as fair. Under the Transfer of Undertakings Act, the transferee can decide to renounce the collective agreements covering the employees of the acquired business by notifying the relevant unions within three weeks after the date of the takeover. Most leading financial analysts expect that the financial and business climate will further improve in 2019. The hottest topic in 2019 will probably be the GDPR. It is our forecast that within the next year or so, the European Union – and to some extent that rest of the world – will be hit by a GDPR 'tsunami' owing to a combination a several factors. Among these are the rapidly growing commercial pressure for having a responsible approach to processing data; the increased awareness of data subject rights; the high number of ongoing complaints to the national data protection regulators, which will result in several fines likely to be very substantial in some cases; and the anticipated increase of exercise of data subjects' rights and upcoming disputes regarding the processing of personal data. Further, the new Holiday Act will keep attracting attention because it fundamentally changes the current holiday system. This legal development is significant for legal professionals, employers and the public in general, who must prepare for this new holiday system before it becomes effective on 1 September 2020. Lastly, one of the most important subjects in 2019 is the changes in the Stock Option Act. The parliament has passed a bill replacing the very employee-friendly leaver provisions with almost absolute freedom of contract with regard to equity-based incentive schemes for employees. The new rules came into force on 1 January 2019. The combination of the new rules in the Stock Option Act and the recent introduction of substantially more favourable tax rules are expected to lead to the introduction of many equity-based incentive schemes across companies established in Denmark. 1 Tommy Angermair is a partner and Caroline Sylvester is an attorney at Clemens. 2 Notwithstanding the shortcomings of the flexicurity model, it is a crucial element of the EU's European Employment Strategy, which is meant to contribute to the 75 per cent employment target set forth in the Europe 2020 Strategy (http://ec.europa.eu/europe2020/index_en.htm).